Upon successful login, the main Xcalibur W window appears. The top bar menu, accessed by rolling over the button, allows switching between menus. All the menus are described later in this wiki. 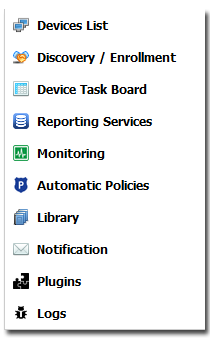 On the top right hand of the screen, you can roll over various Status Icons providing summary information and shortcuts.